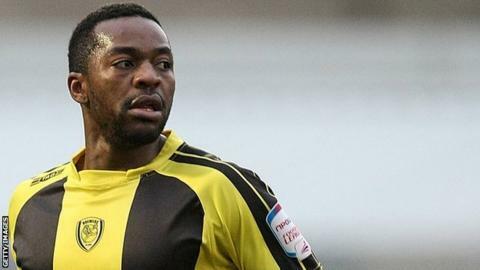 Jacques Maghoma scored twice as Burton Albion took full advantage of goalkeeper Scott Davies' dismissal to coast to victory over 10-man Fleetwood. Davies saw red in the 56th minute for bringing down Maghoma, who got up to convert the resultant penalty. Billy Kee then doubled their lead with a perfectly placed finish. David Ball almost brought Town back into it, but Maghoma slid in the third after good work by substitute Calvin Zola, who he set up for the fourth. The victory see the Brewers move up to the third automatic promotion place in League Two. "The two teams were cancelling each other out and neither team was lighting up the world with their attacking play. "Neither side wanted to give anyone an inch, but it was given by the referee. "He's made the decision to give the penalty in the first place, which I didn't think it was, and then to send off our keeper. "That was a double whammy and after that it was always going to be an uphill battle."